A rotary union / swivel joint is a mechanism used to transfer fluid (under pressure or vacuum) from a stationary inlet to a rotating outlet, preserving and isolating the fluid connection. 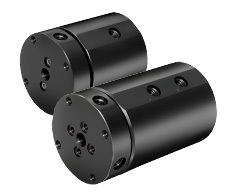 Rotary unions are engineered to endure a large range of temperature and pressure for a variety of conditions and environments. 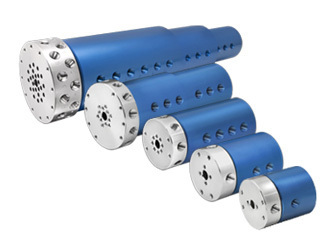 In addition, rotary unions may integrate multiple independent flow connections (passages) and handle different types of media simultaneously. Rotary unions typically function by connecting to an input and securing onto another mechanism while allowing a moving connection to be preserved. 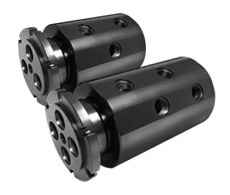 They are utilized in a variety of applications; from compact rotary unions for the semiconductor industry to large, rugged-duty fluid swivels for industrial applications. Additionally, a variety of materials, sealing technology, and bearing types can be incorporated. Hygienic clamp ferrule connections and an FDA approved design. 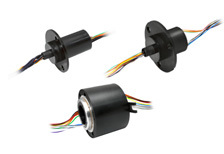 An electrical slip ring is a rotating assembly used to transfer power, control circuits, or data (analog / digital) from stationary inlets to rotating outlets.